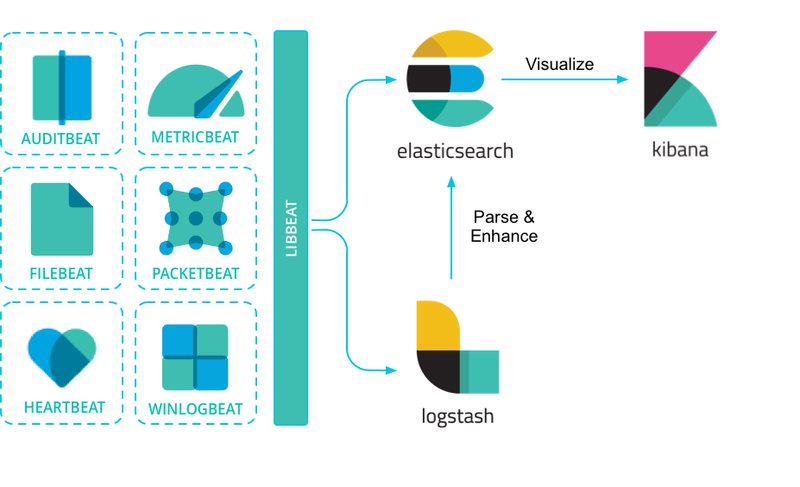 Beats can send data directly to Elasticsearch or via Logstash, where you can further process and enhance the data, before visualizing it in Kibana. To get started, see Getting started with Beats. Want to get up and running quickly with infrastructure metrics monitoring and centralized log analytics? Try out the Infrastructure and Logs UIs in Kibana. For setup details, see the Infrastructure Monitoring Guide. If you have a specific use case to solve, we encourage you to create a community Beat. We’ve created an infrastructure to simplify the process. The libbeat library, written entirely in Go, offers the API that all Beats use to ship data to Elasticsearch, configure the input options, implement logging, and more. To learn how to create a new Beat, see the Beats Developer Guide.